Nanotechnology is the study, application, and engineering of materials, devices and systems on a very small scale: by definition, it involves the manipulation of matter with at least one dimension sized from 1 to 100 nanometers, deemed nanomaterials. At this scale, sometimes referred to as the quantum realm, quantum mechanical effects play a large role in the properties and interactions of matter. These quantum effects generate unique phenomena, and the exploitation of this reality allows for the production of an enormously greater range of possible material characteristics than are achievable through conventional, macro or even micro scale engineering. American Elements nanoscience products have found uses in fields such as medicine, electronics, green technology, defense, and water purification. New products and applications for nanotechnology are being invented every day. As products continually become more and more dependent upon nanotechnology, nanomaterials will become ever more important to our daily lives. In his famous talk entitled “There’s Plenty of Room at the Bottom,” Richard Feynman set the stage for research into applied nanoscience. The speech, which was delivered on December 29th, 1959 at the annual meeting of the American Physical Society at the California Institute of Technology, marked a revolution in the way the scientists looked at materials and is widely credited as one of the turning points in the history of materials science that spurred nanotechnology research. At the time, many engineers were interested in miniaturizing devices. For example, engineers of the era talked about making electric motors the size of a fingernail. However, while some scientists were working on devices that could write the Lord’s Prayer on the head of a pin, Feynman was asking why we couldn’t write the entire Encyclopedia Britannica on the head of a pin. Feynman proposed engineering on a radically smaller scale, millions of times smaller than the popular trend at the time, and challenged researchers to achieve that goal. Manipulation of matter atom by atom was realized in 1986 with the groundbreaking work by Don Eigler of IBM. The research is immortalized in Eigler’s famous “I-B-M” image. His experiment utilized a machine known as a scanning tunneling microscope (STM), the discovery of which earned its inventors a Nobel Prize. 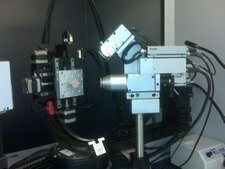 An STM is a device that has the ability to map the surface of a material at the atomic level using a needle. Working with an STM that he built, Eigler showed that when he cooled his material to very low temperatures, he was able to use the needle to position individual atoms producing dramatic results. Pursuant to this discovery, an explosion of research has led to a better understanding of nanoscience and its practical application through nanomaterials. American Elements's high purity silica has been used in the production of nanotransistors which are a recent technology inspired by this research. Nanomaterials have wide ranging and diverse applications in optoelectronics, renewable energy, environmental remediation, chemical catalysis, medical devices, consumer products, and biomedicine. Select applications are briefly discussed below. Nanomaterials have found use in a variety of electronic applications including light emitting diodes (LEDs), thin film devices, transistors, sensors and lasers. Nanostructured metallic and ceramic particles for vastly improve the performance of solid-state alternative energy sources such as fuel cells and batteries, and researchers are actively investigating novel means of utilizing these materials in electrodes, electrolytes, and catalysts that improve on current technologies. Silicon nanoparticles have been shown to dramatically expand the storage capacity of lithium ion batteries without degrading the silicon during the expansion-contraction cycle that occurs as power is charged and discharged. Silicon has long been known to have an excellent affinity for storage of positively charged lithium cations, making them ideal candidates for next generation lithium ion batteries. However, the quick degradation of silicon storage units has made them commercially unfeasible for most applications. Silicon nanowires, however, cycle without significant degradation and present the potential for use in batteries with greatly expanded storage times. Rare earth nanoparticles have become particularly important in the development of both cost-effective solid oxide fuel cells (SOFCs) and hydrogen storage technologies based on metal hydrides, including nickel metal-hydride (NiMH) batteries. Materials such as LSM, strontium carbonate nanoparticles, manganese nanoparticles, Manganese oxide nanoparticles, nickel oxide nanoparticles, and several other nanomaterials are finding application in the development of small cost-effective solid oxide fuel cells (SOFCs). Platinum nanoparticles are being used to develop small proton exchange membrane fuel cells (PEM). Ultra high purity silicon nanoparticles are being used in new forms of solar energy cells. Thin film deposition of silicon quantum dots on the polycrystalline silicon substrate of a photovoltaic (solar) cell increases voltage output as much as 60% by fluorescing the incoming light prior to capture. Certain nanomaterials serve as effective products for environmental remediation. For example, nickel nanocrystals are a reagent for the dehalogenation of trichloroethylene (TCE) , a common groundwater contaminant. A team of researchers from Singapore and the United States developed a lightweight, porous gel embedded with silver nanoparticles that effectively kill bacteria in tainted water, leaving it purified and potable. Nanoparticles can be applied directly or as an additive to coatings to produce a number of effects on a given surface such as anti-reflective, hydrophobic, adhesive, or anti-microbial properties. For example, liquid repellant coatings are used for numerous applications such as consumer products, vehicles, textiles and more. 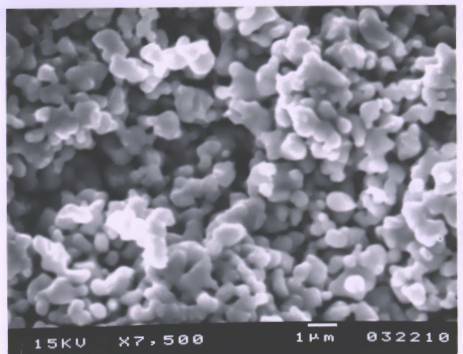 Zinc oxide nanoparticles, zinc nanoparticles and silver nanoparticles are often used as anti-microbial, anti-bacterial, anti-biotic and anti-fungal agents when incorporated in coatings, fibers, polymers, first aid bandages, plastics, soap and textiles. For detailed product information on the uses and applications of our Zinc Oxide products, Z-MITE™, see the Z-MITE™ Product Data Sheet. For a given amount of material, as particle size decreases, surface area increases. American Elements cerium oxide nanoparticles, platinum nanoparticles, gold nanoparticles, palladium nanoparticles, molybdenum nanoparticles, nickel nanoparticles and iridium nanoparticles have extremely high surface areas which increase their effectiveness as catalysts in a range of chemical synthesis, chemical treatment and petrochemical cracking applications. The biomedical and bioscience fields have found near limitless uses for nanoparticles. Nanoparticles made of peroxalate ester polymers with a fluorescent dye (pentacene) encapsulated into the polymer have shown to be capable of detecting cancer since hydrogen peroxide is generated by pre-cancerous cells. The dye-bound nanoparticles fluoresce upon coming into contact with hydrogen peroxide which is then detected using medical imaging equipment. When bound to organic molecules, gold and silver nanoparticles have proven to be effective in delivering pharmaceutical drugs to the bodies of cancer patients. Artificial bone composites are now being manufactured from calcium phosphate nanocrystals. These composites are made of the same mineral as natural bone, yet have strength in compression equal to stainless steel. Tungsten oxide nanoparticles are being used in dental imaging because they are sufficiently radiopaque (impervious to radiation) for high quality X-ray resolution. The group of magnetic nanoparticles discussed above is being used to both kill cancer cells in malignant tumors and in MRI medical imaging. Coating tungsten particles with DNA and injecting them into plant cells or plant embryos allows for the transformation of plant plastids with lower transformation efficiency than in agro bacterial mediated transformation. The anti-bacterial and anti-microbial effects of many nanoparticles such as silver are well understood technology. Fluorescent nanoparticles are being used by biologists to stain and label cellular components. By changing the particle size of quantum dots the specific color emitted can be controlled. With a single light source, one can see the entire range of visible colors, presenting an advantage over traditional organic dyes. Nanoscale Z-MITE™ ZnO is being used for its UV absorbing properties to create transparent but highly effective sunscreen. The small size of these particles makes them invisible to the naked eye resulting in a clear lotion. Nanorobots are engineered nanoscale mechanical devices or machines that can be used for applications in medicine, environmental remediation, renewable energy, or computing. Most of these applications are in research and development stages with medical applications, also known as nanomedicine, showing particular promise. Medical researchers at Johns Hopkins University have studied the uses of nanobots for drug delivery, diagnostics and surgical procedures. Another application of nanobots is in developing nanoscale molecular positions systems or conveyor belt-like systems using nanoscale molecules that act like motors when attached to macroscopic surfaces. Nanotechnology is a powerful tool in the fabrication of metamaterials: artificial materials designed to exhibit properties not previously found in nature. The potential to tune materials with precise properties for different applications can have a profound impact on nearly every industry. As researchers continue to learn more and more about the potential applications of nanomaterials, health officials are also learning about their potential toxicological effects. Indeed, the new field of nanotoxicology—a subfield of particle toxicology—has arisen in order to address the public health concerns related to nanotechnology. The unique dimensions of nanomaterials do present safety and environmental issues that should be addressed responsibly by industry at least in the same manner as fine particulate materials are currently handled under existing health and safety guidelines. Nanomaterials are classified by size ranges for the purposes of regulatory bodies and investigative studies pertaining to their risks, both to environmental and health outcomes. Numerous articles have been published warning of the dangers presented by unregulated nanotechnologies. Perhaps the most publicized of which is the threat of "Gray Goo," a hypothesized substance resulting from the runaway dissolution of the earth by self-replicating nanobots. While many of these concerns are being studied, the very scale range of these materials do present safety and environmental issues that should be addressed responsibly by industry in at least the same manner as fine particulate materials are currently handled under existing health and safety guidelines. Nanotechnology is expected to have an impact on nearly every industry. The research community is actively pursuing hundreds of applications in nanomaterials, nanoelectronics, and bionanotechnology. Most current developments in nanotechnology are in the shape and composition of nanomaterials themselves. Researchers are beginning to understand how to assemble complicated nanostructures and accurately predict their behavior, in addition to experimenting with composites of multiple nanomaterials (like graphene and graphene oxide) and fabricating nanoscale structures of materials never created at that size before. Advanced nanodevices and nanoelectronics that utilize these materials are on the horizon, such as nanorobot drug delivery systems, faster computers, and in sensors. American Elements is actively involved in pursuing promising research to develop equipment and procedures to manipulate single atoms or molecules at a time. In addition, we support the industrial, commercial and academic efforts by supplying the ultra-pure, advanced materials required to perform nanotechnology research. Nanopowders are powders consisting of nanoparticles: particles with all dimensions less than 100nm. They are used in a variety of material fabrication processes, and many of our materials are available in this form. Nanoparticles can exhibit a variety of morphologies, including spheres, rods, fibers, cups, and stars. Nanoparticles can even be porous, as in the case of mesoporous silica nanoparticles. Materials sold as nanopowders typically contain particles with some degree of variation in morphology or size while still falling within the 1-100nm range. Nanoparticles with specific, uniform morphologies are often sold under a name that characterizes this morphology, and single-crystal nanomaterials are typically referred to as nanocrystals. Nanoparticles can be provided as suspensions in various carrier liquids. Nanofluids are generally defined as suspended nanoparticles in solution either using surfactant or surface charge technology. Nanoparticle inks are suspensions of nanoparticles in dense liquid media such as ethylene glycol. These inks are finding applications in printed electronics, photovoltaics, battery technologies and other renewable energy solutions. Surface functionalized materials such as dodecanethiol-functionalized gold nanoparticles have controlled surface chemistries which can provide novel methods to change the adhesion (wetting) properties of the particles, re-order their interfacial region, or enhance the dispersion properties of the nanopowder in polymers, plastics and coatings for improved magnetic, fluorescent, dielectric, and catalytic properties. Surface functionalized nanoparticles have particular application in LEDs, drug delivery systems, sensors and electronics. Nanowires are nanomaterials with length-to-width ratios greater than 1000 and diameters on the order of nanometers. Common nanowires may be composed of pure metals such as platinum or gold, semiconducting elements and compounds such as silicon and gallium nitride, or insulating materials such as silicon dioxide. Additionally, moleular nanowires are nanowires composed of repeating molecular units; DNA can be considered an organic nanowire. 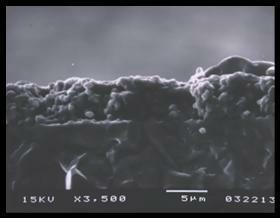 Nanowires can be produced using suspension techniques, vapor-liquid-solid growth (VLS), or solution-phase synthesis. Most applications for nanowires remain experimental, but ultimately these materials may be used in electronics devices, including in next-generation computing devices and sophisticated chemical sensors. Nanofoils (or nano-foils) are ultra thin foils as thin as only 20 nm up to 1000 nm, 1 micron, 2 micron, and up to a few microns thick. Nanofoil can also be plated or produced on a substrate with a parting agent to permit removal by floating and can then be mounted on frames. Nanorods are nanoparticles with rod-like morphology, and each of their dimensions falls within the range of 1-100nm. Most commonly, they are about 3-5 times as long as they are wide, though this can vary with material and synthesis conditions. Nanorods are synthesized from metals or semiconducting compounds. Nanotubes are materials which exhibit a cylindrical nanostructure. The first nanotubes described were carbon nanotubes, cylindrical tubes of carbon that are members of the fullerene structural family. Carbon nanotubes have a number of unusual properties including high strength, and have a wide variety of applications. Other nanotubes now produced include silicon nanotubes, which have potential applications in hydrogen storage, battery technology, and boron nitride nanotubes, which show promise in aerospace applications due to their strength and radiation-shielding properties. In the past decade, carbon-based nanomaterials have become increasingly important in research, industrial and commercial applications. Graphene, a flat one-atom thick sheet of carbon atoms densely packed in a honeycomb crystal lattice structure, is a unique material that exhibits extremely high strength, electrical conductivity and is one of the most opaque materials known. The discovery of graphene has greatly expanded the possibilities for improvement and development of advanced technologies, from microelectronics and nanomedicine to spintronics-based computing. Research into graphene and graphene oxide have led scientists to synthesize other two-dimensional materials like hexagonal boron nitride (hBN), molybdenum diselenide (MoSe2), molybdenum disulfide (MoS2), tungsten diselenide, (WSe2) tungsten disulfide (WS2), and others which may have the ability to outperform graphene for applications such as photovoltaic panels. Fullerenes, spherical cage-like carbon structures known as "buckeyballs", have found applications in lithography and medicine. Carbon nanotubes are among the stiffest and strongest fibers known to man and have unique electrical properties. When used as reinforcement fibers, carbon nanotubes can improve the quality and properties of metal, polymers and ceramics. Carbon nanotubes are found in flat screen displays, needles for scanning probe microscopes, brushes for commercial electric motors, and in sensing devices. Carbon nanotubes are extraordinary materials which come in several variations and exhibit highly unique properties. These materials are effectively rolled tubes of graphene, and contain only sp2 bonds, which are even stronger than the sp3 found in diamond. These bonds, arranged in the cage like structure of the nanotube, give these unique materials their considerable strength. Currently they are widely used to enhance the strength of structural materials, as tips for atomic force microscope probes, and as scaffolds in tissue engineering, but dozens of additional applications are areas of active research. Quantum dots are crystalline semiconductor materials with diameters ranging from 2-10 nanometers, making them small enough to exhibit quantum mechanical properties. Specifically, in quantum dots the crystal’s diameter is smaller than the size of the material’s exciton Bohr radius, leading to quantum confinement. The materials therefore exhibit electronic and optical properties that are tunable based on manipulation of the precise particle size. One common phenomena seen in quantum dots is fluorescence, which has been exploited in light-emitting devices such as LEDs and diode lasers. Additionally, quantum dots are being investigated as labeling agents for medical imaging, light absorbing materials for solar cells, and quibits in quantum computing. Fluorescent nanoparticles are promising tools for technical applications in optical data storage, renewable energy solutions and biomedical fields. Quantum dots, for example, can be tuned to emit specific wavelengths of light through careful control of their particle size. Numerous biomedical assays utilize fluorescent nanoparticles as tools to bind biomolecules for diagnostics, analytics, and biochemical studies. Immunoassays, microarrays, intracellular sensing and medical diagnostics are areas that have found particularly beneficial uses of fluorescent nanoparticles. Magnetic nanoparticles such as iron oxide are nanoparticles that exhibit magnetic properties and can be manipulated by a magnetic field. Studies in the application of these magnetic nanoparticles have led to new research areas in medicine, renewable energy and computing. Semiconductor materials have long been used in the electronic and computing industry. Nanoscale semiconductors are now being implemented into circuit components and devices to produce next generation products and processes. Nanowires are used by to produce a new generation of transistors and antennas. In addition to this, a host of research is ongoing in the uses of nanowires as a means of energy harvesting and storage. Nanoporous nanostructures increase surface area of a given 2D nanoparticle and in turn can be useful for membrane applications. Controlling pore sizes in nanoparticle production is a key aspect to nanoporous materials and their uses. This research holds promising applications for electronic devices. A wide range of methods are used to synthesize nanomaterials and can be categorized as either one of two general approaches, top-down synthesis or bottom-up synthesis. Top-down synthesis methods begin with macroscopic structures or materials that undergo processing to form nanostructured materials. Bottom-up synthesis of nanomaterials starts with atoms or small molecules that can undergo self-assembly to form new nanostructures. Common examples of the bottom-up method include quantum dot formation during epitaxial growth and nanoparticle formation from colloidal dispersion. American Elements can "grow" larger than typical particle sizes for materials for various purposes; for example, to create particle distributions in the 20 to 70 micron range for materials that are naturally produced in the 2 to 8 micron range. This allows our customers to use them in plasma spray guns and in other deposition technologies that can be blocked by particles that are either too small or too large for the delivery system. We can also achieve very high surface area ranges up to 130 square meters per gram for products used in environmental groundwater remediation, electrical, battery, dielectric and magnetic and fuel cell applications, and optical, imaging and catalyst functions. American Elements physical morphology capabilities include aerosol, thermal and sol-gel methods, attrition, ball and jet milling, atomization, particle growth by fusion and sintering, and co-precipitation and screening classification. Analysis and certification include particle distribution by laser diffraction, BET surface area analysis, phase analysis by X-ray diffraction and SEM. American Elements is a global manufacturer of numerous nanoscale materials including nanoparticles, nanopowder, nanotubes, nanowire, quantum dots, submicron, -325 mesh, and high surface area metal powders with particle distribution and size controlled and certified. We also produce larger -40 mesh, -100 mesh, -200 mesh range sizes and <0.5 mm, 2 mm, 5 mm and other mm sizes of shot, granules, lump, flake and pieces. Our technical teams are experts in not only the chemical properties of advanced materials, but also their physical properties and morphology. American Elements is capable of producing most compounds, metals, and alloys in the submicron and nanopowder range and atomized metallic powders in sizes as low as -325 mesh to ultrafine particle. Surface areas as high as 140 m2/g have been achieved. We can also produce certain metallic catalytic powders (such as platinum) in the submicron and nanoparticle range. Even if a customer requires a particular material in the submicron or nanoparticle that is not in our catalog, we can probably produce it.